Part of the joy of being BC’s President is the opportunity I get to meet and learn about our amazing students. Granted, I’ll never get to know each and every one of the 20,000 Renegades that stream across campus each semester — but that doesn’t mean I wouldn’t like to. They’ve each got their own unique and compelling stories and the moments when I get to learn about the individual members of our BC family is time I treasure. Because it’s not every day you get introduced to wonderful souls like our own BC student Jose Arreola. I met Jose several days ago while I attended an SGA rally here on campus and I was immediately struck by his good nature and obvious enthusiasm for his school. We only spoke for a few minutes, but I was thrilled to learn that Jose would be DJing next season during the BC football games. I wished him all kinds of encouragement and success at that tricky job. A few days later, Jose came by my office in the Admin building because he said he wanted to give me a gift. 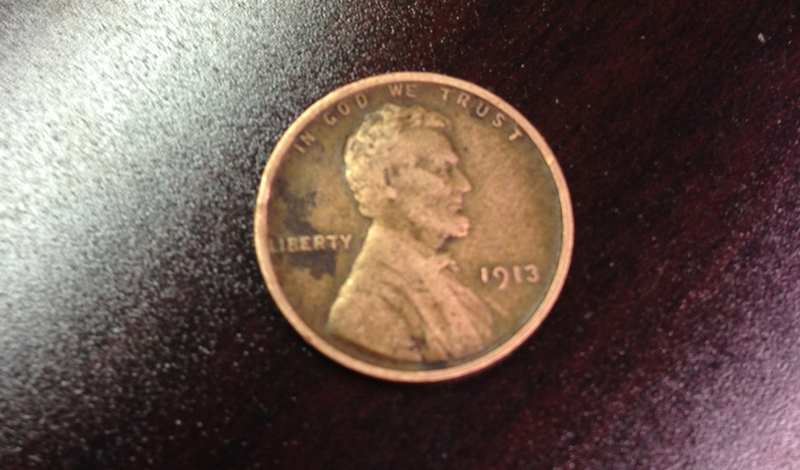 I was in a meeting of course and he handed Jennifer a 1913 Lincoln penny, complete with the old wheat stock design that U.S. mints phased out in the 1950’s. Jose said the coin was part of a larger collection given to him by his grandfather. Considering 1913 was the monumental year that Bakersfield College first opened its doors to students, Jose said he felt it was right that BC should have the rare coin. The coin will hold an honored place here in my office as a reminder of the century that Bakersfield College has been serving this community with excellence. Thanks, Jose…you’re one of the 20,000-plus reasons I love coming to Bakersfield College every day! We are BC!